What is the aim of the documentary Finding Ford? I was born in 1977 and saw Star Wars around the age of one or two years old and instantly recognised Han Solo as my favourite character. At my fourth birthday party kids from my primary school were invited round to our house and we watched Raiders of the Lost Ark for the first time, as it was on VHS I’m guessing it was probably a pirate! By the times the credits rolled across that huge warehouse I had found another favourite character, Indiana Jones. Eventually as the years wore on I discovered this was the same man, Harrison Ford. One Christmas my parents managed to find me the present every child wanted that year, a Kenner Millennium Falcon, and I was able to use my imagination to act out new Star Wars stories with Han Solo and his friends. Once I’d discovered who Harrison was I began to track down his other films on TV and video, I remember watching Blade Runner for the first time and hating it, it went on to become my favourite film of all time. From then on I continued a life long quest as a Harrison Ford fan, picking up novelisations, biographies, soundtracks, making of books, and anything I could track down in second hand shops. My obsession with films went beyond Mr Ford of course, and I became a monthly reader of Empire and Premiere, it was here I discovered that there was a place to go as a film geek, monthly film fairs at a hotel in Manchester. Comic Cons didn’t exist in those days, and collecting wasn’t cool, collectors fairs were small events, mostly with old guys collecting Bette Davis stills and such like. I was still at school so once I’d attended a few with my Mum, the traders got to know me as a Ford fan, and they introduced me to a whole new world of collecting; UK cinema posters, press kits, front of house/lobby sets, and more, I’d save up my pocket money all month, and the traders would present me with new treasures each time, then I’d come home with bags full for amazing things £20. Cosplay also didn’t exist, it was known as “dressing up”, my parents still encouraged me though, so far as my Dad taking me to Failsworth Hats to get a trilby like Indiana Jones’ made for me so I could dress like my hero. Without the internet collecting, or indeed cosplay was difficult, you had to dig around, make phone calls, read books, look in magazines, write to people/shops, it was a simpler time and I guess you could say it was an adventure in itself too. I got older, I grew up, but the annual pilgrimages to the cinema continued to watch Harrison Ford’s latest films. Over the past few years I rediscovered collecting posters, one sheets in particular as I had previously collected all British promotional material. This lead to the world of comic con’s, I was amazed that it was full of people like me, but now they dressed up in public! The only difference was collecting had changed, and many of the vintage items I collected back in the day were no longer in demand by the younger generation of geeks. But I could now meet and get autographs of people who were in the films I loved, and even better people who had worked with the man himself! Even more surreal it eventually came to pass that I became friends with some of them, and they were share their own experiences of working with Harrison Ford. Fandom has now become a very personal affair, it drives many franchises, and can often mean a project sinks or swims. I noted that many fans have begun to document their fandom, their story, their journey, and this past year I began to think about what my story would be, and what it would be about? There was really only one choice, and this brings us up to date with Finding Ford – A Documentary. The idea for my documentary is to interview as many co-stars, producers, actors, directors, crew, friends, family and fans about the legendary actor and my lifelong hero Harrison Ford. 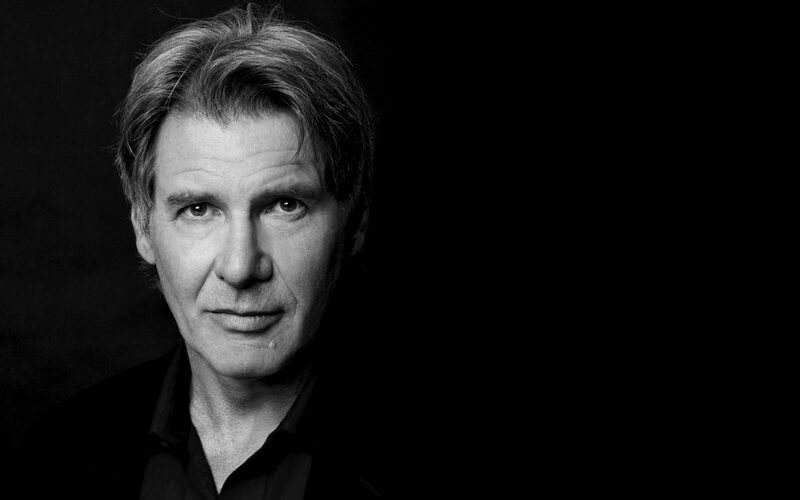 A fans journey if you will, taking in as many stops as possible along the way, in an attempt to get to know more about the man himself, to capture some stories you have never heard before, and who knows maybe the journey will lead all the way to Harrison Ford. Either way this is going to be the adventure of a life time, and its one I’ve been preparing for all my life. You can stay up to date with my progress here, and across the social media pages. May The Ford Be with You.